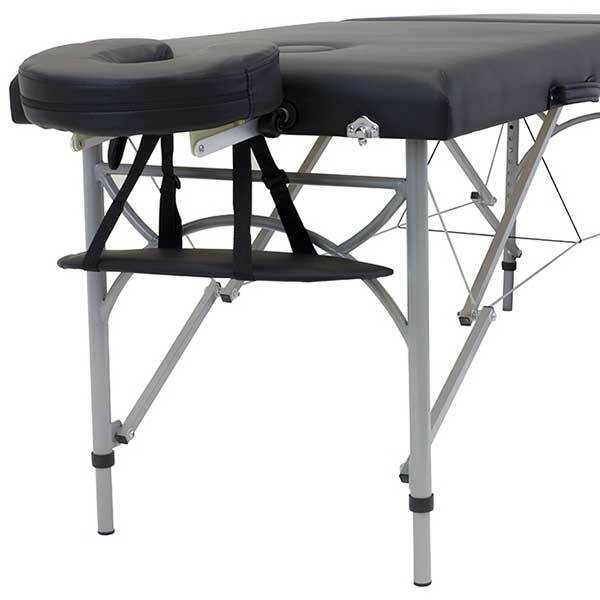 In this review, we will take a look at the Master Massage Montour LX Massage Table. 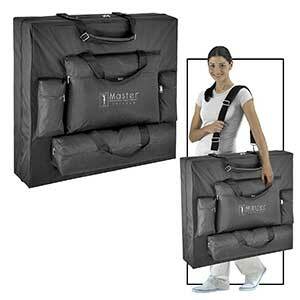 Master Massage has several variations of their portable massage tables. For instance, the Santana LX has a version with a built-in warmer called, Therma-Top while the Monroe LX and Montclair has many color options. 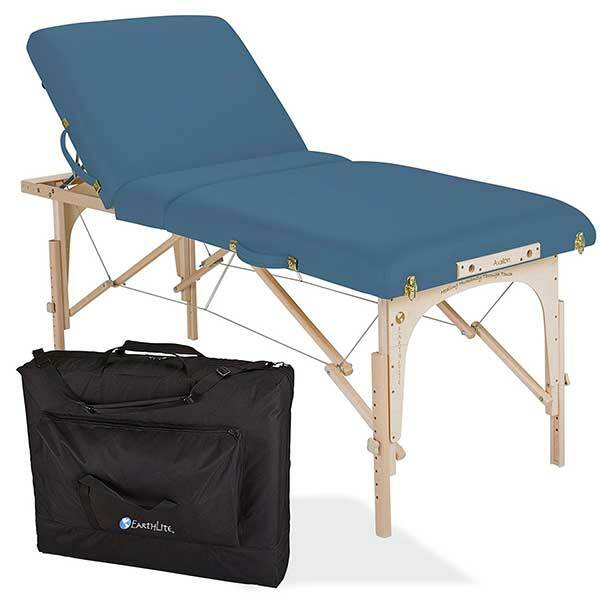 Sometimes, the different table models have features that clash, but they really have subtle internal changes, such as in the frame, width, stitching or accessories. The Mountour LX appears to be similar to the Santana LX, but both have notable differences when examined closely. Table Weight 34 lbs. 38 lbs. 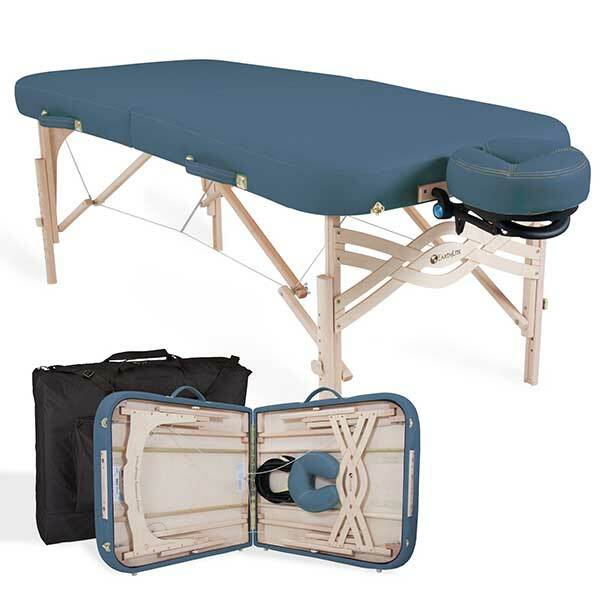 The Master Massage Montour LX Massage Table is packed with accessories to justify a higher price point. 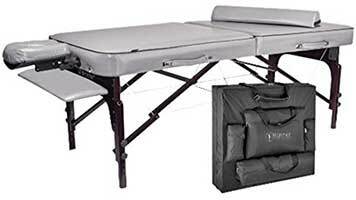 It is the same sturdy table from a reputable manufacturer, but it lacks Shiatsu cable release and is only available in Dove Gray. 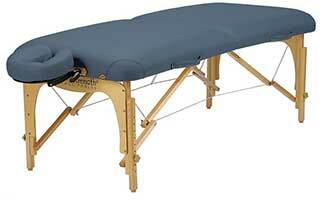 The Master Massage Montour LX Massage Table is a fantastic table for Reiki. It has everything that a practitioner needs to get started. At 34 lbs., it is quite lightweight for a wooden table since some can go as high as 38 lbs. 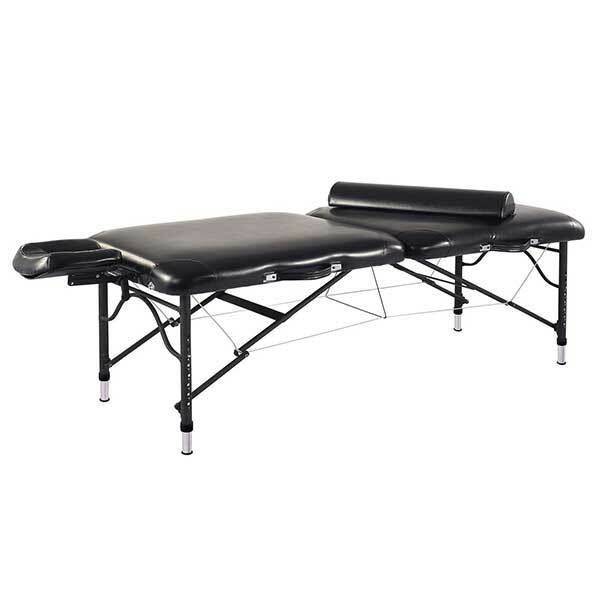 However, its thickness makes it one of the bulkiest massage tables in the market. Many owners also claim that the table is in fact, heavy and tough to move. Carrying it can be a bit awkward for shorter practitioners. 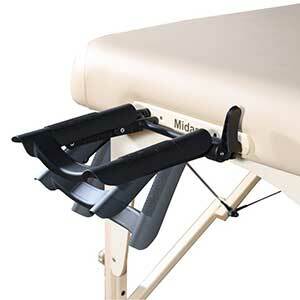 Check out our Massage Table Cart Guide if you feel that your table is heavy enough to carry. 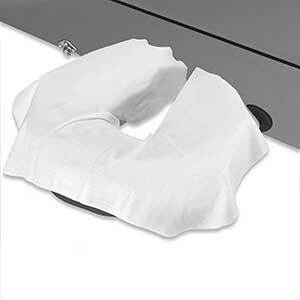 People who have used the Montour agree that the foam padding is incredibly relaxing. No complaints on the headrest as well.